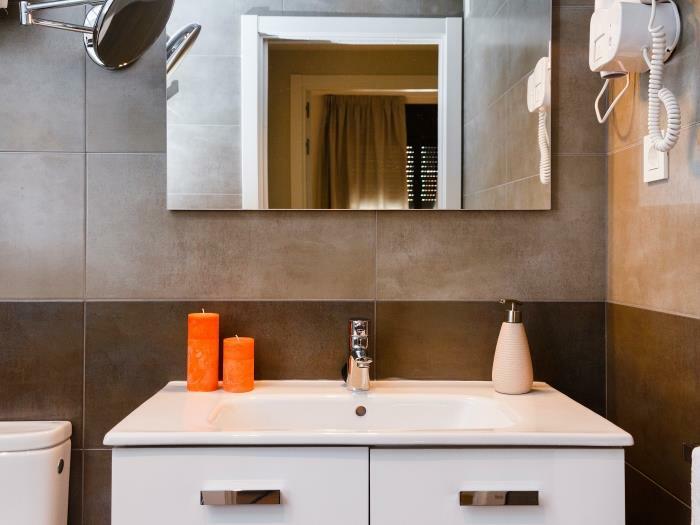 This two double bedroom apartment is located in a brand new building with elevator, reception, parking and a communal terrace. 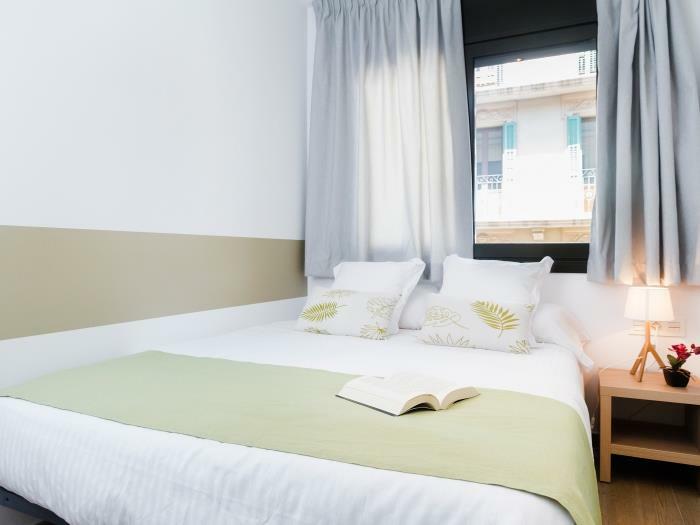 It is perfect for business and leisure stays due to its convenient location close to the Fira Barcelona and Montjuïc area. There is a metro station just in front of the apartment that will leave you in the city historic center in 10 minutes. The access from the El Prat airport and Sants train station is very easy. The apartment has lots of natural light that enters through its big windows. 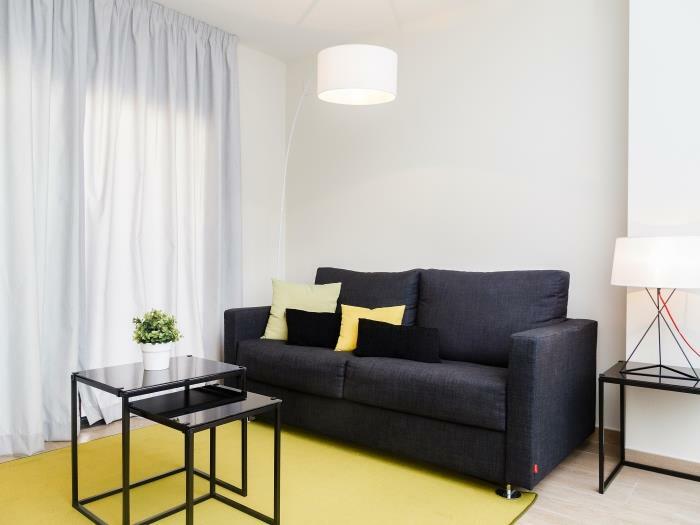 The common area has a big couch that can become double bed, a SAT TV with international channels, a fully equipped kitchen and a laundry area. The two rooms of this apartment have double beds and a closet. There is a safety box easy to use where you can keep your important belongings during your stay. 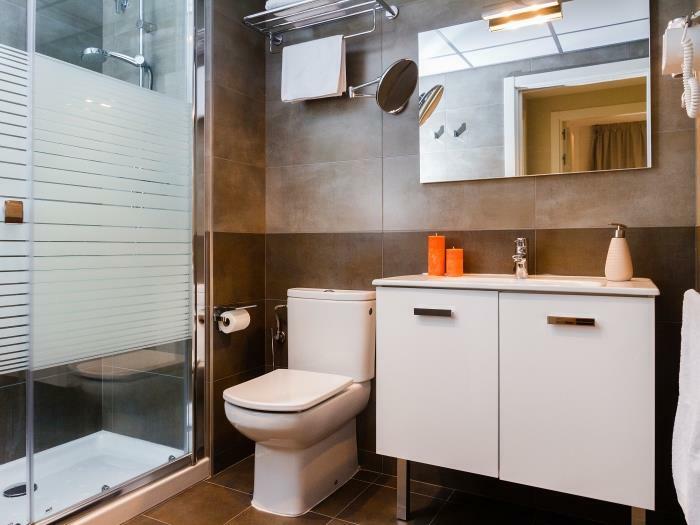 There is one toilet with shower and you will find a hairdryer and some amenities upon arrival. All the installations are modern because the building is a new construction. There is free WiFi connection. This two bedroom apartment is located in a building of new construction and has plenty of natural light. In the central area, spaces are distributed harmoniously. 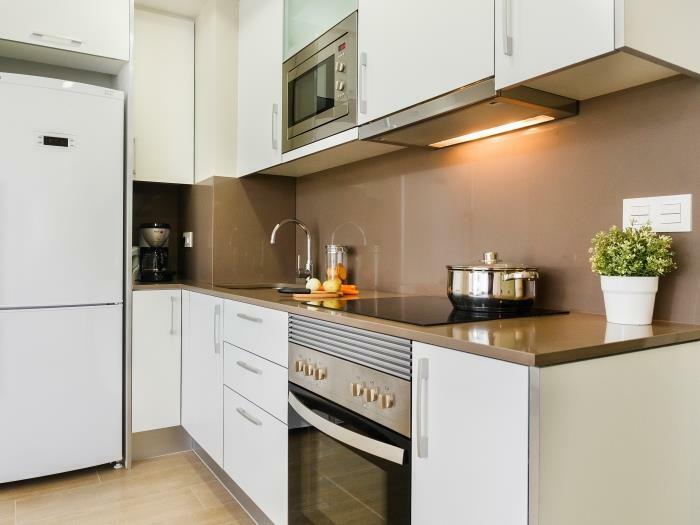 An open concept kitchen fully equipped with modern appliances and utensils, a dining room, where there is a table with chairs, and a living room, where there is a sofa-bed and satellite TV. 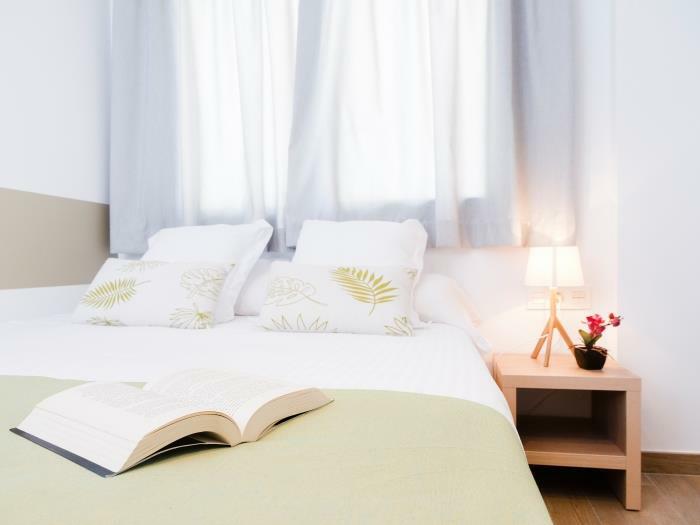 The apartment has two bedrooms, both with double bed, a wardrobe and a safe. The bathroom has a shower and you will find a hairdryer. The building has a communal terrace equipped with deck chairs and tables that you can enjoy during the day. There is also a reception service during the day, a parking (payable and with reservation) and lift. Before your arrival, you can contact us via e-mail or telephone if you need to resolve doubts. The building has reception and during the hours that we are there you will be able to come and make your inquiries. During your stay, you will also have a telephone with 24 hours attention for emergencies. 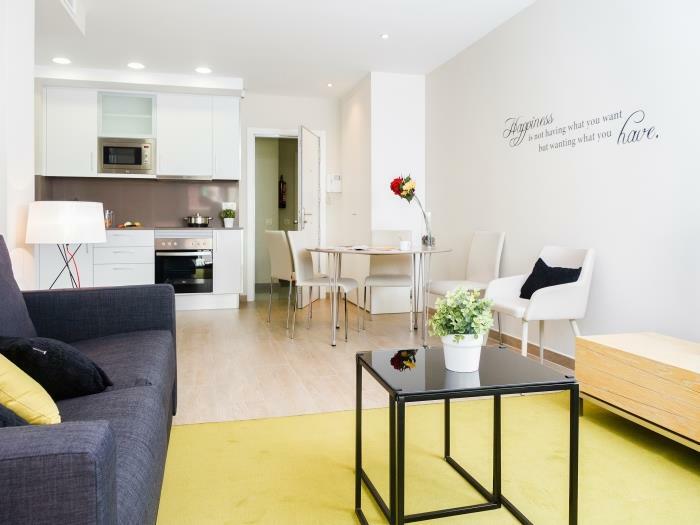 The apartment is located in a neighborhood very well connected and with all services. Close you will have the local market of Hostafrancs, where you will find fresh food products. Nearby there are supermarkets and local businesses. There is a large choice of bars and restaurants as well as commercial hubs with local and international shops. You can visit nearby Las Arenas, an old bullring transformed into shopping center, the Miró Park and Montjuïc area among others. If you are a lover of sport and nature, you will love walking in the parks of Montjuïc, where you will have views of the city and you can also attend the show of the Magic Fountains. The Montjuic district of the Fira de Barcelona is located in Plaça Espanya. The metro Hostafrancs (L1 red), is the closest to the apartment, and will leave you in the historic center in 10 minutes. You can find other transport in Plaça Espanya, as the metro L1 and L3, several bus lines, including the one that goes directly to the airport (Aerobus) and FGC trains that will take you to the Fira venue Gran vía II. Also nearby, you will find the Sants train station (Renfe), where all the lines that pass through Barcelona arrive. 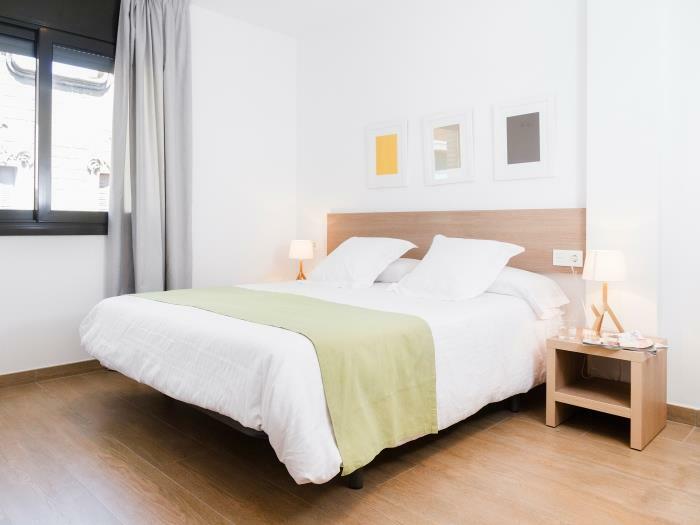 Located in a new building 10 minutes away walking from Plaça Espanya, the Fira de Barcelona and Sants central station. 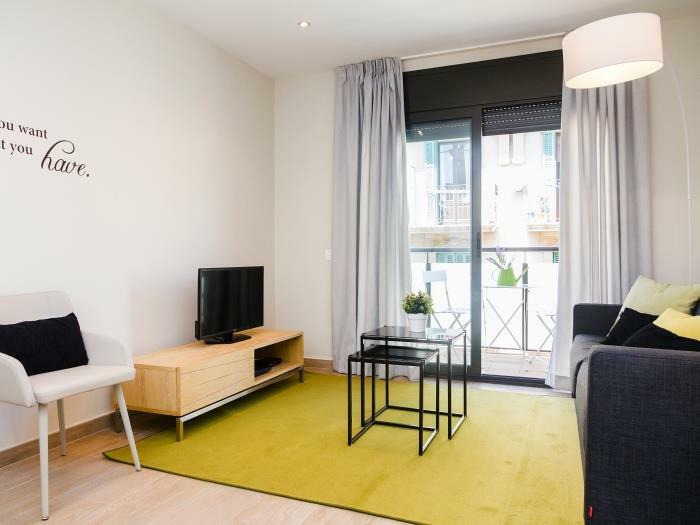 It is a very bright apartment thanks to its large windows, available for a maximum of 6 people (HUTB-010452). 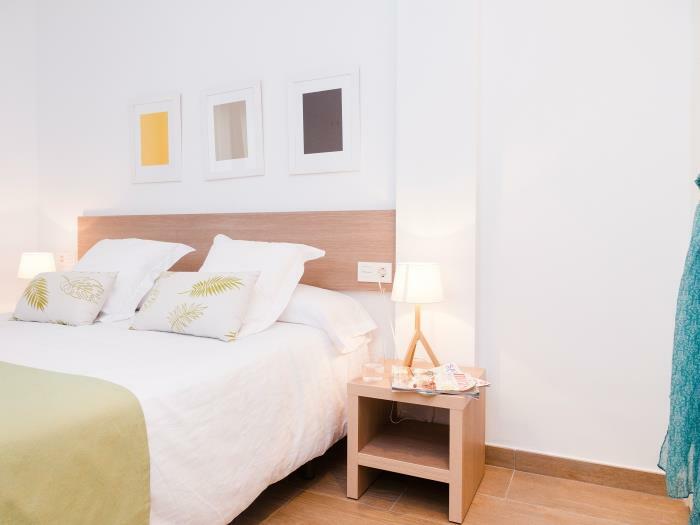 It has two double rooms equipped with double bed, large closets and safe. The apartment has a fully equipped bathroom with shower. 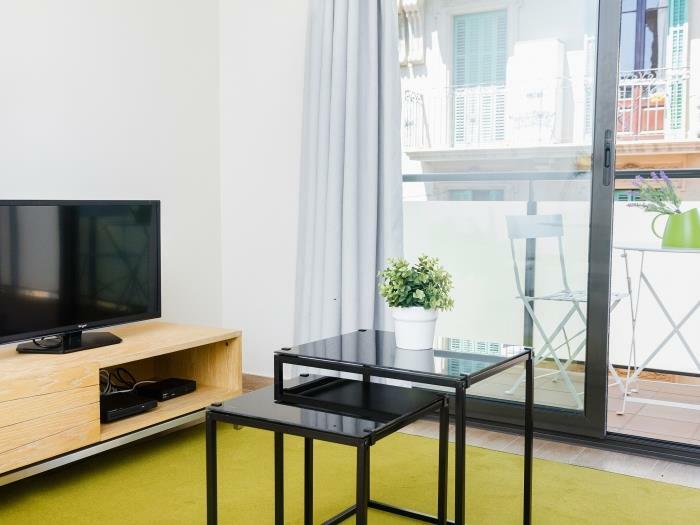 The living room is composed of Satellite TV, DVD, free WIFI and we can find a sofa bed that can be converted into a double bed. 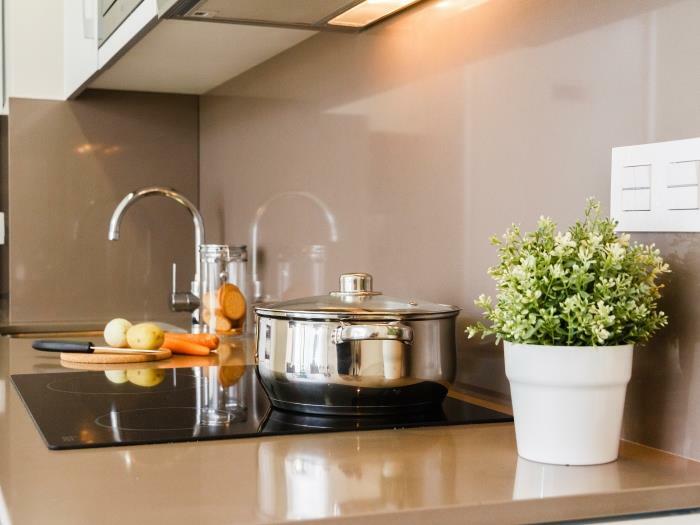 The kitchen is completely new and equipped with everything necessary to prepare any dish made with local products, taking advantage of the proximity of the Hostafrancs market. The building has parking with a price of 15 euros / night always to be booked in advance. 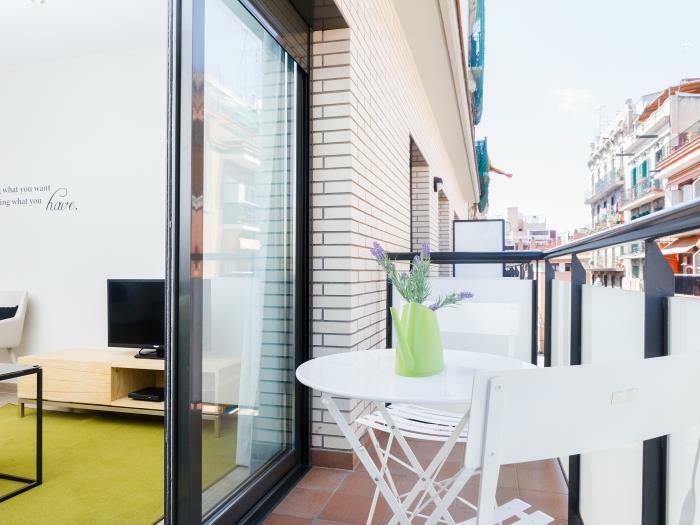 The building has a communal terrace on the roof of this for our guests, equipped with chairs and sun loungers to enjoy the sunny weather of Barcelona and admire the views of the city and the mountain of Montjuïc.